WELCOME HOME! 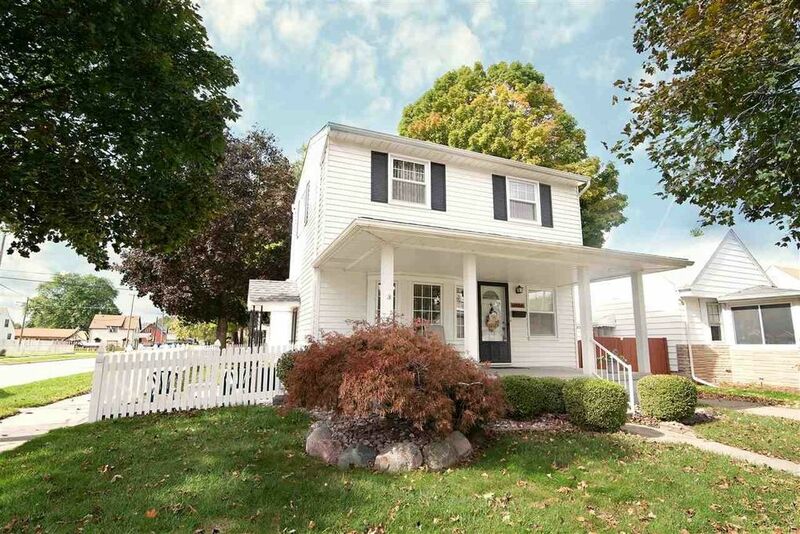 WONDERFUL 4 BEDROOM, 2 BATH WYANDOTTE BEAUTY. HUGE SECOND STORY BEDROOM WITH HARDWOOD FLOORS, 8 FT CEILINGS AND 4 CLOSETS. THE MAIN FLOOR HAS BEAUTIFUL HARDWOODS IN THE LIVING ROOM AND DINING ROOM; UPDATED KITCHEN WITH LOTS OF CABINETS, BEAUTIFUL COUNTERTOPS AND THE APPLIANCES ARE INCLUDED; AN UPDATED MAIN FLOOR BATHROOM WITH JACUZZI HYDROBATH TUB, CLASSIC TILE AND A SKYLIGHT; 3 NICE SIZE BEDROOMS FINISH THE MAIN FLOOR. THE FINISHED BASEMENT HAS ANOTHER FULL UPDATED BATHROOM WITH A STAND UP SHOWER, AND A LARGE UTILITY ROOM WITH TONS OF STORAGE. THE HOUSE IS WIRED FOR A WHOLE HOUSE GENERATOR AND HAS A SECURITY SYSTEM. OUTSIDE YOU HAVE AN INVITING FRONT PORCH, PATIO AREA, NICE YARD, INGROUND SPRINKLER SYSTEM AND VINYL FENCING. NOTHING TO DO BUT UNPACK. SCHEDULE YOUR SHOWING TODAY!